Building a safe work environment is a challenge for any company. But, perhaps even more challenging, is the ability to maintain that safety over the long-term. Many companies struggle with how to best keep workers and customers safe. And with so many statistics and opinions out there, it can be hard to determine the right solutions for your environment. 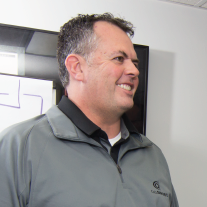 One tactic that works across the board, however, is active employee engagement -- a critical element of our Safegagement concept. An engaged employee is someone who’s fully invested in both their work and the company’s success. This means they will put in more effort across the board; go out of their way to ensure things are done right; and actively offer their opinions, suggestions and feedback. Unfortunately, this doesn’t describe every employee. Often times, workers can become disengaged through lack of appreciation or trust from the organization. In terms of the overall safety of the workplace, this is counterintuitive to any progress, as these individuals often do not report minor injuries, hazards or near misses. They “check out” during safety briefings, and show a general lack of respect for the safety program -- often breaking rules and taking advantage of shortcuts. An excellent example of just how beneficial engagement can be comes from an SHRM Foundation study on employee engagement at beverage giant Molson Coors. It concluded that engaged employees were five times less likely than non-engaged employees to have a safety incident and seven times less likely to have a lost-time safety incident. In 2002 alone, the company was able to save $1,721,760 in safety costs, just by strengthening their commitment to employee engagement. After seeing the results, Molson Coors moved beyond just tying these engagement efforts to company profits, instead linking the increased engagement to a reduction in safety incidents, which also helped reduce costs and time lost due to injury. 1. Involve employees in the safety program—call weekly or monthly safety meetings and openly discuss all changes, before they are implemented. — One way to actively involve your employees is through a concept known as gamification, which applies game design elements and principles to more traditional workplace tasks. To learn even more about this unique approach, read this blog from our friends at The Predictive Index. 2. Let their voices be heard—allow staff members to voice their opinions, concerns and ideas without fear of reprimand. 3. Ensure good lines of communication—be approachable and keep your door open at all times. 4. Offer positive feedback—mistakes don’t always need to be punished. Stay positive and remember that implementation is a process. 5. Respect employees and their ideas—not every idea is good or constructive, but showing that you’re willing to consider them is a great way to instill confidence. 6. Recognize hard work—when an employee goes above and beyond what is asked of them, make sure they are recognized for the effort. 7. Set clear guidelines—employees must know what they’re striving for, and displaying/discussing safety parameters helps provide that clarity. 8. Continue their education—proper safety tactics can’t be regulated to a “one and done” meeting. It’s better to hold ongoing sessions to keep skills sharp. 9. Instill a sense of ownership—let employees know their worth and show that you trust them to do the job right, every time. 10. Maintain your compassion—if someone is injured or has a scare, show that you care about their well-being, rather than diving directly into corrective measures. 11. Give credit where it’s due—if an employee reports a near-miss, provides an idea that is later implemented or continues to look out for the safety of others, reward them for their efforts. 12. Be concise at all times—if you’re asked a question regarding safety procedures, be straightforward with your response. Do not linger in any grey areas. 13. Provide the necessary tools—ensure your team has the tools they need to do the job safely and replace those that may hinder such efforts. 14. Reinforce positive behaviors—put in place a system of formal, informal and on-the-spot gestures that can help show the company’s appreciation for hard work. 15.Be respectful—speak to your employees as equals and let them know you think of them as such. People are more inclined to pay attention, if they’re not being talked down to. Once properly implemented, these tips have the potential to become the turning point your company needs to build a safer, more engaged workplace. Just remember that these actions cannot be forced upon a team. Allow them to take hold naturally and invite your staff to offer feedback and opinions as things progress. 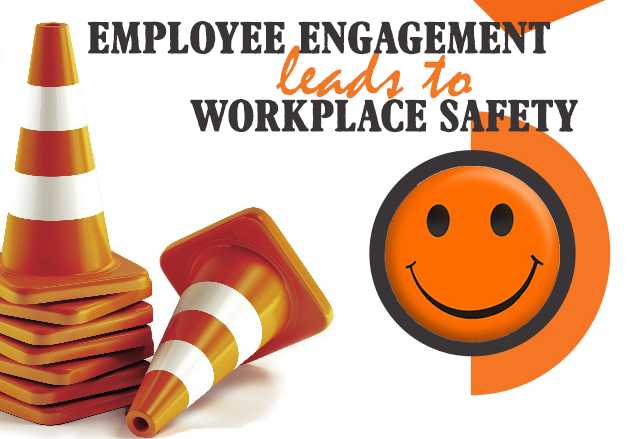 The more engaged you allow your employees to become, the better the results you’ll see from all engagement and safety efforts. And to further solidify these efforts over the long-term, we recommend embracing and employing the five pillars of Safegagement. To discover for yourself just how powerful they can be, be sure to check out our introductory whitepaper below.